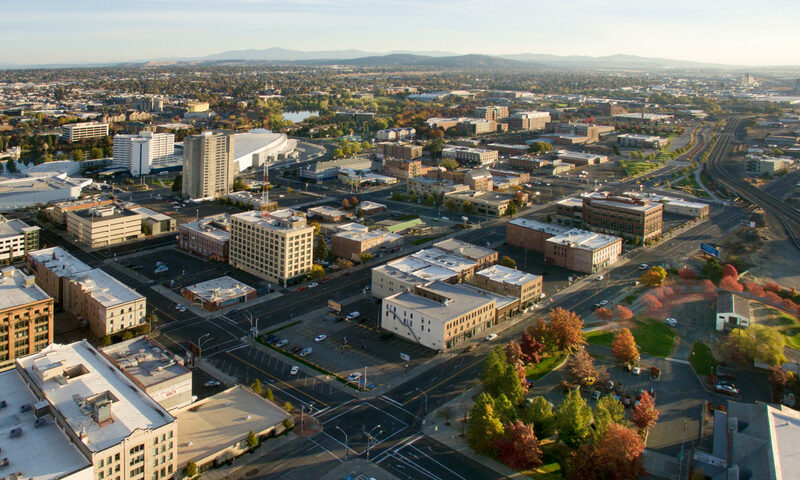 Various ideas for projects to improve Spokane. Inspired by a recent issue of the Pacific Northwest Inlander. I must admit that this is an idea that’s been gnawing at me for some time. It struck me last June during Terrain’s Bazaar, which was taking place on Wall Street between Main Avenue and Spokane Falls Boulevard, then grew on me during my time in Germany this past fall. In many of Europe’s cities, the central avenue in the city center is closed to vehicles. The result is a much more pedestrian-centered experience with a vibrant, exciting city life. What if we took this same logic and applied it to downtown Spokane? Let’s convert Main Avenue between Lincoln Street and Bernard Street into a pedestrian mall. The prospect is tantalizing. But it would require a concerted effort at programming. A public commission or non-profit board a la the Seattle Center’s management structure or that of Portland’s Pioneer Courthouse Square would work well. And we’ll have to work on finding solutions to the traffic problem (especially cross-traffic on Stevens and Washington) as well. But we can do it. We can replace lost parking, improve traffic flow downtown, and build a vibrant community all at the same time. So let’s get behind a pedestrian on Main Avenue. Let’s make it happen. What do you think? Do you support the idea for a pedestrian mall on Main Avenue? Do you think it could spur investment along that street, where parking lots have languished undeveloped for years and years? What would you like to see programmed at a pedestrian mall downtown? Share your thoughts below in the comments, on Facebook, on Twitter, or in person. We love to hear from you.